The case you can trust. 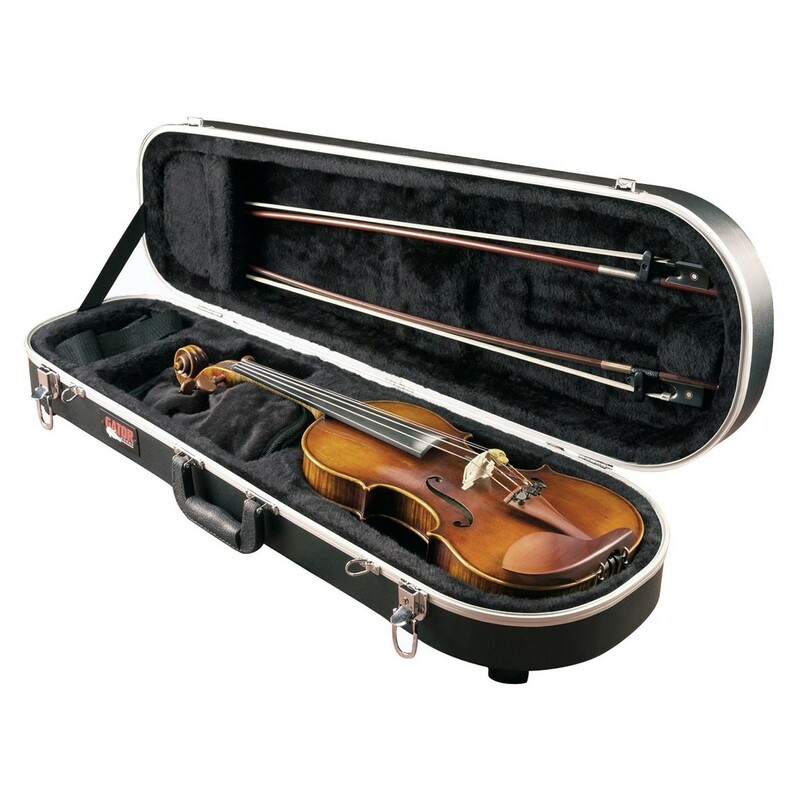 Put your violin in the hands of a case made by world-class professionals. With a blend of traditional style and Gator-level protection, the Deluxe GC-Violin moulded case will be sure to keep up with your day-to-day activities. 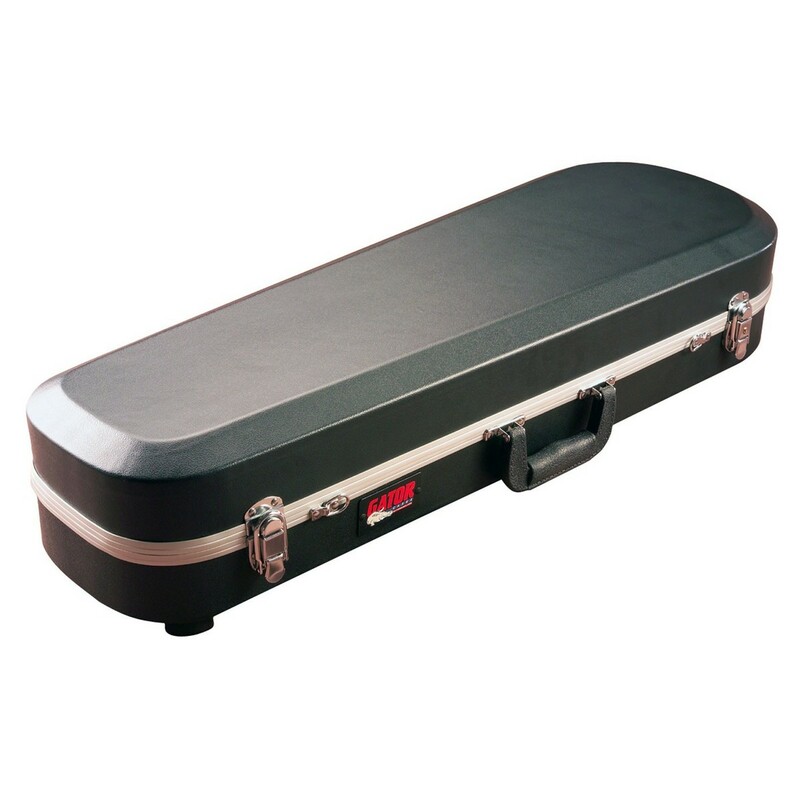 Moulded from deluxe ABS plastic, the GC-Violin case offers heavy-duty protection. Once combined with the aluminium valance and lockable latches, you know the Gator GC case means serious business. When transporting the case, you can either use the rugged bolted handle, or the included adjustable shoulder strap. The plush-lined, foam fitted interior will safely nest your instrument when in transit. With two bow holders, a dedicated chin rest pouch, and an interior accessory pocket, the Gator GC-Violin will hold everything you need. If you need an exceptional transport and storage solution for your violin, then look no further than the Gator GC-VIOLIN Deluxe moulded violin case. Please Note: The images shown are for display purposes only, and the Gator GC-VIOLIN 4/4 does not include the violin or accessories depicted within the images.